The Lithuanian filmmaker and chronicler of the American underground movement, Jonas Mekas, wrote down his dreams between August 1978 and June 1979. It was a busy time in New York: he was in the process of acquiring the courthouse which would become Anthology Film Archives in the east village; he wrote a weekly column for the Village Voice about the recent films of his colleagues Kenneth Anger, Stan Brakhage, Peter Kubelka and others; he was taking care of his three-year old daughter Oona and editing a film in her honor, "Paradise Not Yet Lost (Oona's Third Year)." At this time he also suffered the death of his close friend George Maciunas, founder of the Fluxus movement. All these events and characters, combined with memories of his childhood in the Lithuanian fields and snow, are transformed and filtered through the absurd logic and advenutures of dreams. The dream book was typewritten by Jonas Mekas and designed and illustrated by Auguste Varkalis, a Lithuanian painter and musician and great friend of the author. Varkalis composed the music for Mekas' latest 16mm opus "As I Was Moving Ahead Occasionally I Saw Brief Glimpses of Beauty." Le cinéaste lituanien et chroniqueur du mouvement underground américain, Jonas Mekas, a noté ses rêves d'août 1978 à juin 1979. C'était une période très mouvementée à New York: il était en train d'acquérir le tribunal qui allait devenir l'actuel Anthology Film Archives dans l'East Village ; il tenait une colonne de critique de cinéma dans le Village Voice sur les plus récents films de Kenneth Anger, de Stan Brakhage ou de Peter Kubelka ; il s'occupait de sa fille Oona âgée alors de trois ans et était en train de monter son film en son honneur "Paradise Not Yet Lost (Oona's Third year)". Parallalèlement à toutes ses activités, il souffrait de la mort de son ami George Maciunas, le fondateur du mouvement Fluxus. Tous ces événements et toutes ces personalités se retrouvent dans ses rêves, ainsi que son enfance passée dans les champs lituaniens où se mélangent les absurdités et les aventures si particulières aux rêves. 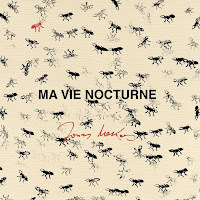 L'ouvrage rassemblant les rêves retranscris par Jonas Mekas est accompagné de nombreuses illustrations d'Auguste Varkalis, peintre, musicien, cinéaste et grand ami de l'auteur. Auguste Varkalis a notamment réalisé la musique pour le dernier grand opus 16mm de Jonas Mekas, "As I Was Moving Ahead".